It is going to be there through every snap and every second of their season this year. Every fan is thinking about it. Every commentator is talking about it. There is no escaping the fact that the Atlanta Falcons should be entering this 2017 season as surprise Super Bowl champions. Instead they are entering it as the victims of the biggest choke in NFL history. Atlanta will be haunted by their overtime Super Bowl loss, blowing a 28-3 second half lead and wasting several opportunities to salt away the championship late. How Atlanta deals with that epic disappointment and how they overcome the negative karma of that defeat will define their season. On the bright side, the Falcons were attempting to overcome disappointment entering last season as well. If you recall, in 2015 they became just the seventh team in NFL history to start the year 5-0 and fail to make the playoffs. Their 2015 collapse clearly didn't hold Atlanta back last year. And we have seen teams - the 1993 Buffalo Bills, the 1988 Denver Broncos and the 1972 Miami Dolphins come to mind - that have shook off Super Bowl disappointments to return to The Big Game the following season. 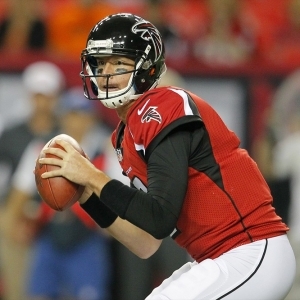 Reigning NFL MVP Matt Ryan will again shoulder the load for the offense. Ryan will not have the benefit of running Mike Shanahan's offense anymore after two record-breaking seasons. Instead, new OC Steve Sarkisian, who has never been an NFL offensive coordinator, will attempt to guide and Atlanta attack that put up some of the best numbers in league history last year. Sarkisian and the Falcons have a plethora of weapons to work with, including Julio Jones, Mohamed Sanu and Devonta Freeman. Atlanta's offensive line has several Pro Bowl-caliber players in Jake Matthews, Andy Levitre and Alex Mack. Defensively, Quinn has revamped the stop unit over the last three seasons and built a team that relies on speed and disruption. The Falcons pass rush is still no better than average. And the linebacking corps, featuring two second-year players and a rookie, needs some seasoning. But Atlanta has excellent depth behind its starting 11 and is a group looking to build on last year's somewhat misleading No. 27 scoring defense and No. 25 total defense. There are a lot of guys - Quinn, Ryan, Matthews, to name a few - that should still be tortured by some of their decisions and efforts in the Super Bowl. I don't expect them to get over it all at once. But this team does have to move on. Atlanta has finished at .500 or better in seven of Ryan's nine seasons under center. And he is still one of the best half-dozen quarterbacks in football. That alone should have them back in the playoff hunt, although I don't expect them to increase their win total for the fourth straight season. I'm skeptical of how the Falcons will hold up mentally (and defensively), and I think Sarkisian is going to be a bust. But I also know that this roster probably has the fewest holes of any in this topsy-turvy division. Atlanta should get a boost from its sparkling new stadium, and they have a favorable schedule, crossing over with the lowly AFC East and the middling NFC North. I think the Falcons can get to 10 wins and I will offer a tepid recommend on the 'over'.